Light can have a profound effect on all aspects of life -- your mood, work and health. 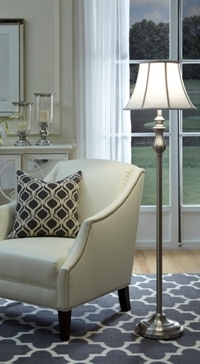 Learn more lighting tips at an ALA-member lighting showroom. If you have fallen in love with a particular light fixture that is too small for your space, simply hang two or three of them. 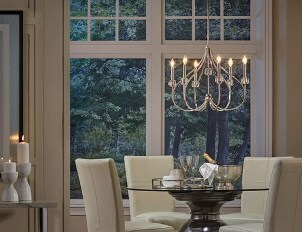 Even some larger fixtures that could easily be hung as a single fixture in many spaces can be hung in multiples. Don't be afraid to hang fixtures in clusters, even at varying heights if it suits your room. That's the beauty and ease of creating your own style. There are no steadfast rules. To keep your decor from competing with itself and to make sure your fixtures are functional, efficient and on trend, it's always a good idea to consult with a lighting professional at a lighting showroom. Your style statement will still be your own, but a lighting expert can suggest the best fixtures to achieve the look you want at the best price point. 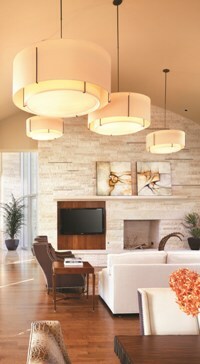 View design videos from ALA for home lighting and décor ideas. Get more expert advice at an ALA-member lighting showroom.